SSU is licensed as an Adult Training Facility by the DPW and the Office of Aging. Specific training areas include the development of self-help/life skills, socialization, learning and communication. The format of the program is geared to individual, small group and large group participation. VU is licensed as a Work Activities Program by the DPW and is our main vocational training program. The focal point of this unit is work. Each individual is encouraged to develop skills to participate in Mobile Work Crew, job sites in industry, and eventually, for those who are eligible, placement in competitive employment. ATU is also licensed as a Work Activities Center by the DPW. ATU placement is based on an individual’s ability to work under limited supervision, while maintaining a prescribed level of production skills. Individual training programs help the person refine their work skills for participation in Mobile Work Crew, and for placement in competitive employment. The ATU serves mainly individuals with emotional and disabilities. Mobile Work Crew is made up of individuals who are selected from the VU and the ATU. Selection is based on criteria that ensure that the individual has the skills to work on a semi-independent basis. 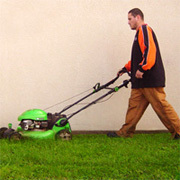 The jobs done by Mobile Work Crew include: lawn care, cleaning, light maintenance, and production work. All work is done outside of the EARS facilities. EARS provides employment services that adapt to individual needs and focuses on each person’s abilities and goals. These services include completing job applications, developing resumes’ and cover letters, locating jobs, coordinating job interviews, job training, and follow up services. 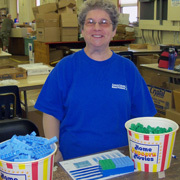 EARS receives referrals for the Office of Vocational Rehabilitation and Lancaster County BHDS. This program provides various support services as well as vocational opportunities to individuals with Autism Spectrum Disorder. 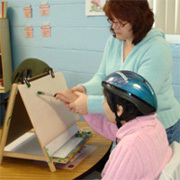 Pathways offers individualized structured programs as well as small group activities.